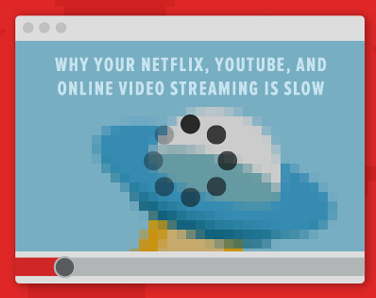 If you having trouble with viewing your favorite shows on Netflix – your ISP (Internet Service Provider) might throttle your Netflix traffic because they want more money from you or Netflix in order to give you the bandwith you already paid for. This is a absolute scandal and you should immediately cancel your ISP and switch to a company which doesnt betray its users like your ISP does. To explain this problem in detail, VyprVPN created a great illustration which shows how the throttling works and what you can do to avoid it / bypass the throttling of your ISP without canceling the subscripton right away. You can solve your problem with the right VPN service instantly – but you should not let your ISP go unpunished for that behaviour. Cancel your ISP and go to a company which does deliver the bandwith you paid for. Thats the only way we, the users and viewers can fight for net-neutrality and a fast internet which is accessible for anywone.